Former Glasgow Cathedral minister Rev. 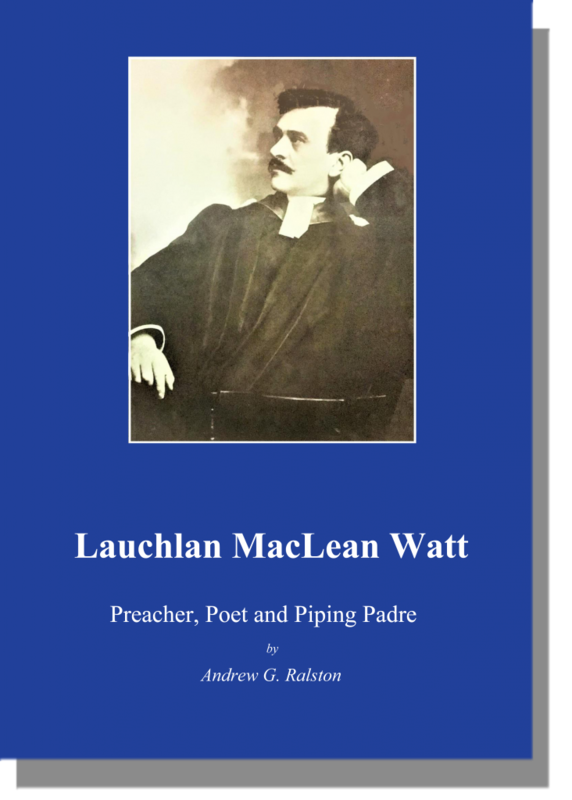 Dr. Lauchlan MacLean Watt (1867-1957) is a forgotten figure today, but he was considered one of the most powerful preachers of his generation and achieved fame as a poet, novelist, biographer, musician and champion of Scottish culture. He was particularly well-known in the years after World War I for his entertaining and moving books about his experiences as an army chaplain. He described his role as ‘a roving missioner, with my bagpipes for companion’ and used to keep up men’s morale by playing familiar Scottish tunes – hence his nickname of ‘the Piping Padre’. Prior to coming to the Cathedral in 1923, he served as minister at Turriff, Alloa and St. Stephen’s, Edinburgh. The climax of his career was his appointment as Moderator of the General Assembly, a role he performed in 1933. He then retired to his beloved Lochcarron where he was able to enjoy the peace and tranquillity for which he had often expressed a longing in his poetry. To commemorate the 150th anniversary of the birth of this undeservedly neglected figure (2017) and the 100th anniversary of the end of World War I (2018), a new book has been written by Cathedral Elder Andrew Ralston and published by the Society of Friends of Glasgow Cathedral under the title: ‘Lauchlan MacLean Watt: Preacher, Poet and Piping Padre’ (retail price: £5.95). All proceeds from sales of the book go towards the work of the Society of Friends. Join us after the morning service on Sunday 27 May at 12.45 pm for a short book launch event (held in the downstairs hall in the Museum of Religion opposite the Cathedral) at which copies of the book will be available for £5. Refreshments will be served and all are welcome.